This is a die cast car model of Renault Megane RS (RenaultSport) produced by Tomica of Takara Tomy. According to Wikipedia, the Renault Mégane is a small family car (C-segment in Europe) produced by the French automaker Renault since 1995. It is offered in 3- and 5-door hatchback, saloon, coupé, convertible and estate body style. The Mégane RenaultSport or Mégane RS is a series of hot hatch models based on Renault Mégane, designed and built by French automaker Renault since 2004. The RS is based on the Renault Mégane II small family car. 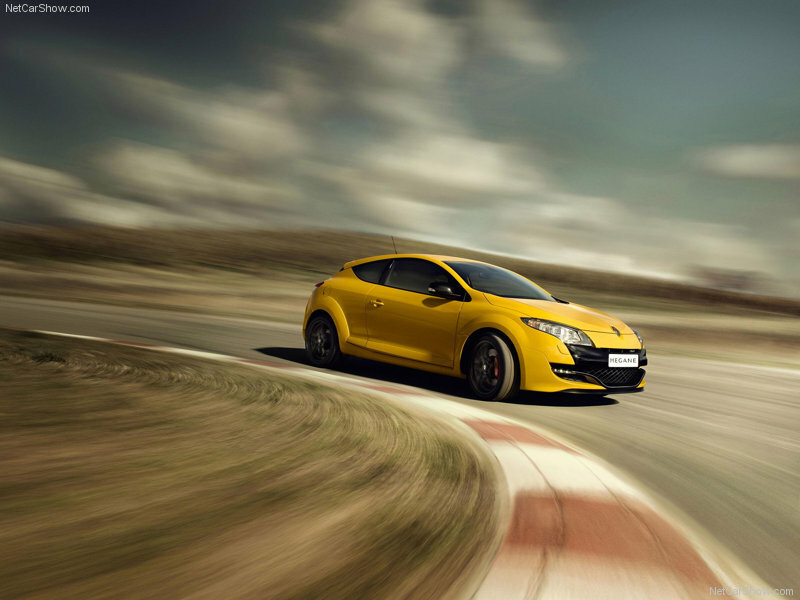 The Mégane RS available in 3- and 5-door hatchback versions, both with the same engine and it is built in Renault's Dieppe factory, which is where most of their special and race cars are made (like the Clio V6, 5 Turbo, Spyder and Alpine A610 / A110). 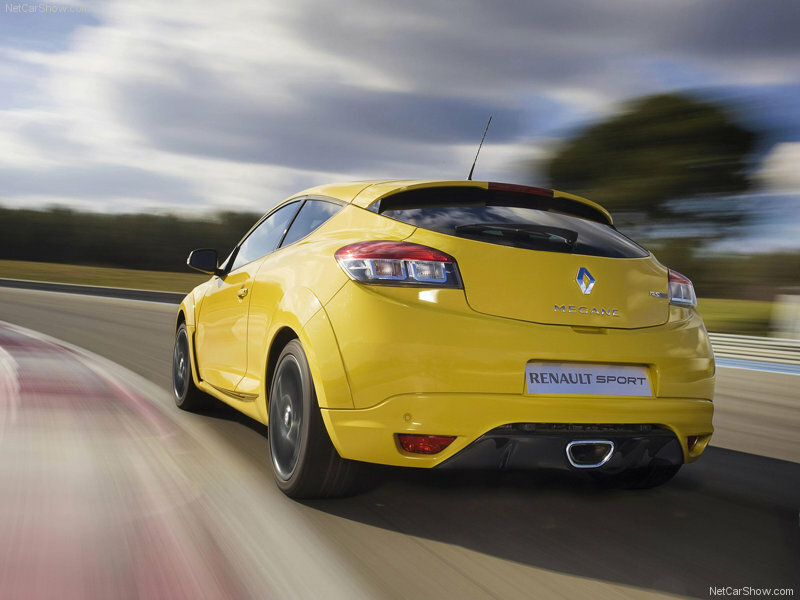 The Mégane Renault Sport 225 uses double-axis strut suspension with independent steering axis at the front, with electric power steering that reduces its influence as speeds increase. The RS uses a turbocharged 2.0-litre petrol engine that produces 225 PS (165 kW; 222 bhp), allowing the car to achieve 0–100 km/h in 6.15 s (0-60 mph in 6.0 s), with a top speed of about 240 km/h (149 mph). Ninety percent of the engine's torque is available from 2000 rpm until redline. A twin-scroll turbo minimizes turbo lag, especially when throttle is applied at over 2000 rpm. The transmission is a six-speed manual. This seems to be an "official licensed" product which means Tomica paid some royalty fee to Renault for this model. The casting quality is very decent while the painting finishing quality is the usual that you could expect from Tomica. Not much to see on the exterior label/marking as it is on the actual car but at least Tomica paint both front/tail lights accordingly. The wheels design is typical of Tomica for this regular line-up and that silver color there is not the original but rather me being me, I used the silver marker pen and did that and I guess now at least it looks a little different than the original all in black only. Let's face it, when it comes to wheels design, Hot Wheels is still the best!!! Overall, I think Tomica did a good job in producing this die cast scale model and this is quite a good representation of Renault Megane RS. In fact from certain angle, this car does look like the Hyundai Volester produced by South Korean car maker Hyundai. I like the looks of this car, I can't afford to buy the actual car and since we are in Asia, probably I wouldn't really want to buy this car anyway simply because the maintenance and spare parts cost for European car in this part of the world is quite pricey and our weather here is pretty hot and humid so naturally we prefer the Japanese or Korean car as they can adapt to our hot weather accordingly and easily while their maintenance and spare parts cost is quite cheap and easy to get locally. 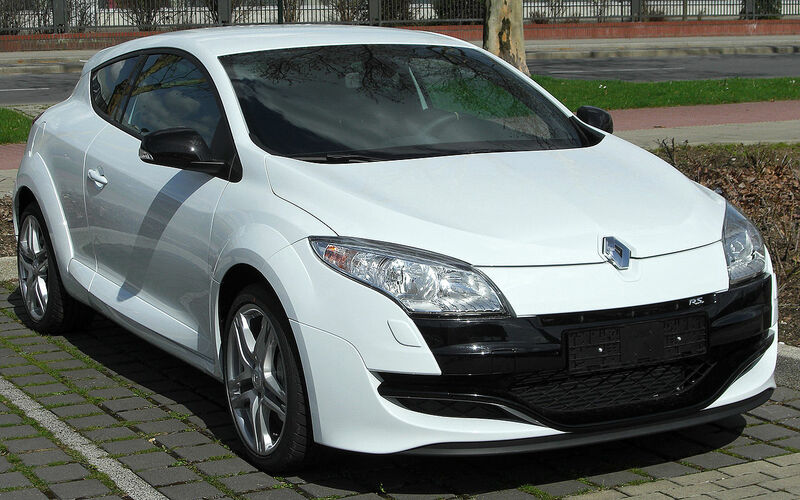 This Renault Megane RS is still a good looking car though and on that bombshell, I like it.